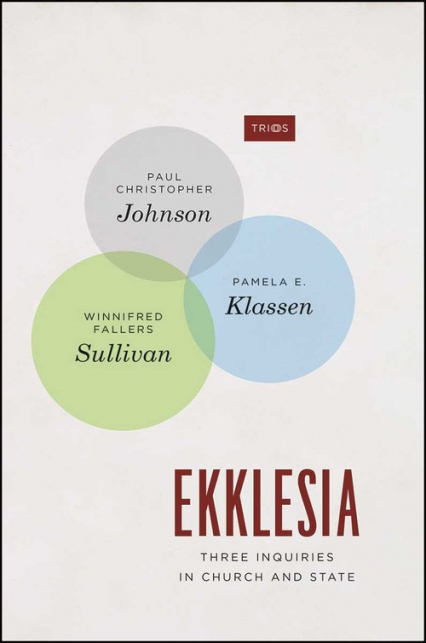 "Ekklesia: Three Inquiries in Church and State" offers a New World rejoinder to the largely Europe-centered academic discourse on church and state. In contrast to what is often assumed, in the Americas the relationship between church and state has not been one of freedom or separation but one of unstable and adaptable collusion. "Ekklesia" sees in the settler states of North and South America alternative patterns of conjoined religious and political power, patterns resulting from the undertow of other gods, other peoples, and other claims to sovereignty. These local challenges have led to a continuously contested attempt to realize a church-minded state, a state-minded church, and the systems that develop in their concert. The shifting borders of their separation and the episodic conjoining of church and state took new forms in both theory and practice. The first of a closely linked trio of essays is by Paul Johnson, and offers a new interpretation of the Brazilian community gathered at Canudos and its massacre in 1896–97, carried out as a joint churchstate mission and spectacle. In the second essay, Pamela Klassen argues that the colonial churchstate relationship of Canada came into being through local and national practices that emerged as Indigenous nations responded to and resisted becoming "possessions" of colonial British America. Finally, Winnifred Sullivan's essay begins with reflection on the increased effort within the United States to ban Bibles and scriptural references from death penalty courtrooms and jury rooms; she follows with a consideration of the political theological pressure thereby placed on the jury that decides between life and death. Through these three inquiries, "Ekklesia" takes up the familiar topos of "church and state" in order to render it strange.